Is your business looking for a low cost alternative to your current heating fuel? Heating with our IHO could save you significant money. If your business or organisation is currently using red diesel (gas oil) for heating, did you know you could make savings on your heating costs by switching to our Industrial Heating Oil (IHO)? You don’t even need to worry about downtime, as there’s no need to run your tanks dry to make the switch! To learn more about IHO and to see how it could benefit your business by making the switch. Simply call our friendly team today to discuss your requirements by calling 0845 313 0845. Our Industrial Heating Oil is specifically intended for use wherever Class A2 or Class D Gas Oil / Red Diesel can be used for the production of hot water, steam or other forms of heat generation. i.e. boilers, dryers, heaters & furnaces. The below video explains how you can switch and save with Crown Oil’s IHO. Our Industrial Heating Oil is a fully rebated product (nil excise duty), it is strictly prohibited for use in both on and off-road vehicles or any other static or mobile engines. What is industrial heating oil (IHO? 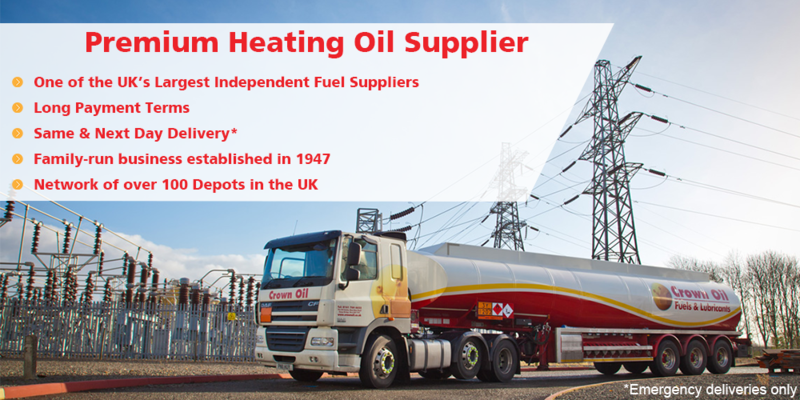 Industrial heating oil is a blend of petroleum fractions and performance additives which provides a commercially attractive alternative to regular red diesel (gas oil). IHO is a clean product manufactured from components that does not contain or include heavy metals, halogens, particulates, waste oils or residual fuel oils. It’s a light coloured, low odour product free from visible sediment. What’s more, it’s fully compliant with all the parameters set out in BS2869 Class D British Standard for heating oil (1000 ppm Gas Oil), with the exception of the cetane value. Cetane value is the diesel equivalent of octane number in gasoline and provides a measure of the power output of the fuel, it is not of any significance for heat generation. Call us today to speak with one of our knowledgeable fuel specialists on 0845 313 0845. What businesses and organisations use IHO? Here at Crown Oil, we blend our IHO at our premises in Bury, Manchester and at another terminal in Workington. 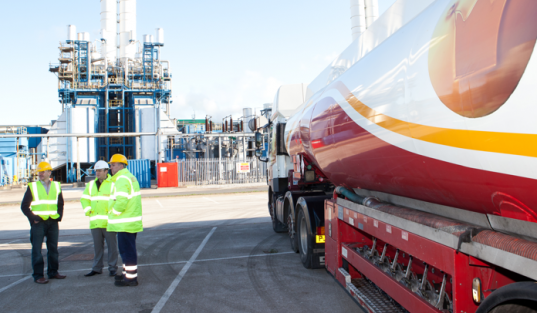 Over a twelve month period, we manufacture in excess of 30 million litres of Industrial Heating Oil which we then supply to businesses and organisations across the UK. We manufacture a quality IHO product from quality blend components. We have three blend vessels at the Bury site with capacities of millions of litres. Our Workington site comprises a 5 million litre capacity blending vessel. If you have more questions or would like to request a quote, give our knowledgeable team a call today on 0845 313 0845 to learn about the added benefits of our Industrial Heating Oil. Alternatively, request a quote by filling in the form on this page.